During this half term Sure Start Children’s Centres thought it would be nice to organise a Party Play Bus at Northowram and Shelf Children’s Centre Hub, Lydgate, Northowram HX3 7EJ for their regular Thursday play group ‘Chat and Play’ which runs from 1:30pm–3:00pm. This Thursday 21 February, 1:30pm-3:30pm you’ll get your chance to explore the Play Bus. 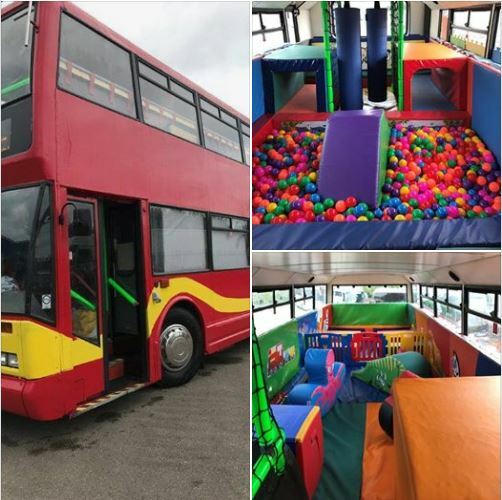 If you haven’t heard of the Play Bus before it is a double decker bus that has been converted into a soft play centre. All families are welcome with children aged 0-5. The fee per family is £1.60 as normal (with snack provided).